The ninjas of ancient Japan practically invented the element of surprise. Their mastery of stealth and disguise allowed them to ghost into enemy territory, then attack with vicious savagery and lethal efficiency. They were like the SAS, only better. This month, though, I think I’ve found something equal to their talents, and it comes - perhaps unsurprisingly - from Japan. 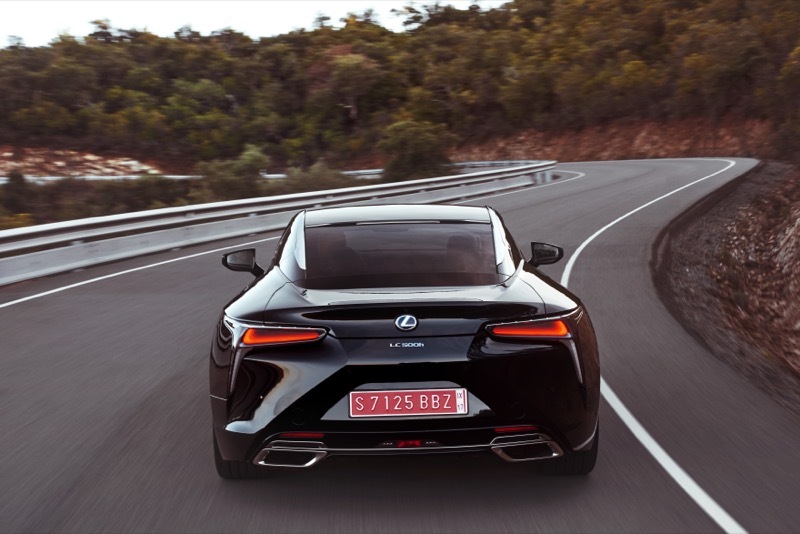 It’s called the Lexus LC, and it’s a huge luxury coupe that sits somewhere between the Porsche 911 and the Aston Martin DB11 in the sports car hierarchy. It’s more thrusting and wafty than the Porsche, but cheaper and less opulent than the Aston. And it’s more futuristic than both, because it’s available as a hybrid. I know what you’re thinking, but bear with me on this. Once upon a time, hybrids were bought by virtue signallers of the highest calibre, with celebrities flocking to the Toyota Prius like popstars to an African orphanage. It told the world they cared about the plight of the polar bear - just not enough to take the train. 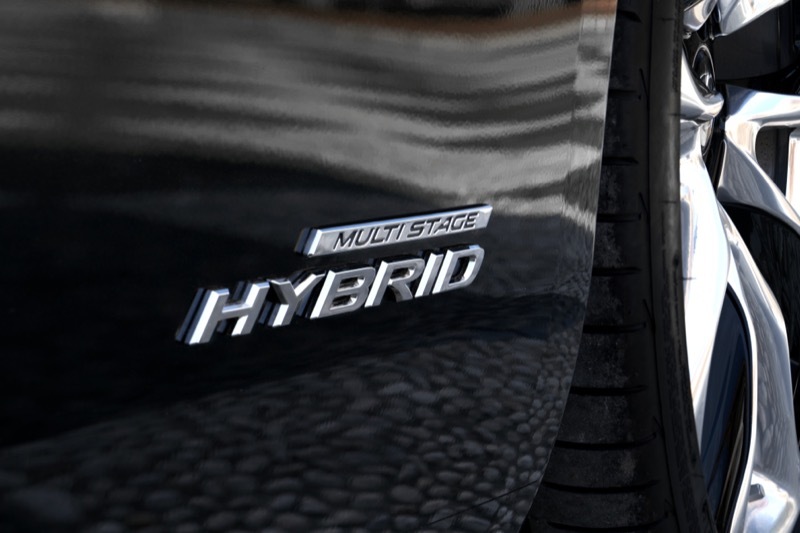 Fast-forward 20 years, though, and the pursuit of speed has made hybrids cool. F1 cars are hybrids these days, and so too are some of the world’s fastest supercars. 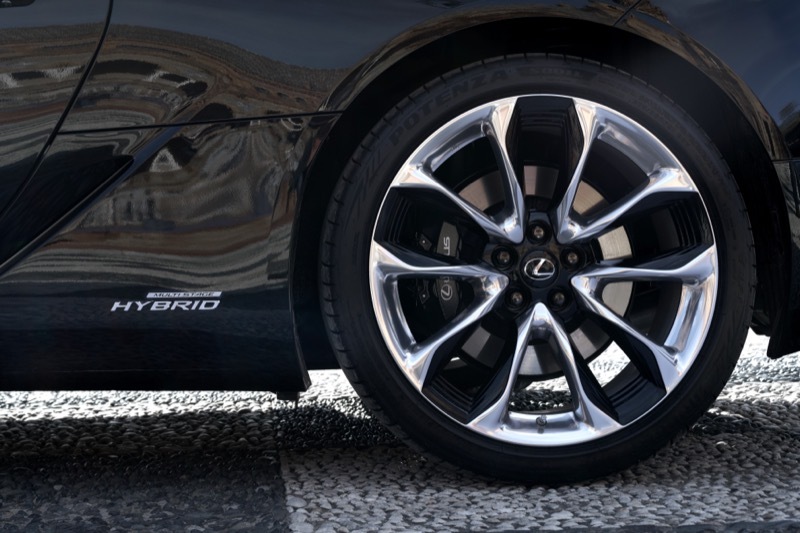 And although the hybrid LC isn’t quite a supercar, it’s definitely fast. There’s a 3.5-litre V6 petrol engine loitering under the bonnet, as well as an electric motor, and the two combine to produce 354bhp. That means 0-62mph takes just five seconds, and the top speed is 155mph. You can have a thumping 5.0-litre V8 version, too, but that’s barely any faster and it won’t match the hybrid’s economy. It would also struggle to be anything like as refined. In the cruise, the hybrid system is like a good butler; quiet and efficient. The super-smooth engine and near-silent electric motor split their duties without fuss or sound, and you almost forget there’s a huge amount of power just a few feet in front of you. But the car is stalking you, lulling you into a false sense of security. And just when you think it’s safe to mash the throttle pedal deep into the firewall, the butler’s wrath is unleashed. The electric motor pins you to the seat while the engine begins its attack, screaming like a bear having a prostate exam. Then the numbers on the speedo start to blur, changing faster than you can read them. Before you know it, the angry-looking magistrate has taken your driving licence away. Sometimes, then, you’ll want to drive this car slowly, although that won’t just be because you’re scared of the jujutsu Jeeves under the bonnet. It’s because you’ll want to be seen behind the wheel. By any measure, the LC is simply gorgeous. It’s angular but sleek; sharp but svelte. It oozes futuristic style and sophistication in a way that no Bentley or Mercedes can replicate. Even among the sexiest supercars and the smartest SUVs, the LC turns heads. However, the car is at its best not in town, but on the open road - as long as you don’t think you’re Lewis Hamilton. At almost two tonnes, it’s too heavy for properly fast driving, and the hybrid’s punchiness means flooring it halfway through a corner is a one-way ticket to the nearest ditch. You have to treat it gently. If you do that, you’ll find the LC a fabulous long-distance companion. The petrol-electric power unit whispers in the background while the optional high-powered Mark Levinson sound system assaults your ears. The seats are comfortable and the ride, which has to be a little bit stiff for handling purposes, is better suited to faster roads. The only real problem, then, is the interior. It looks almost as good as the exterior and it’s littered with clever gadgets, but some of the plastics are a bit low-rent for a £75,000 luxury car. The rear seats are suitable only for children or Nearly Headless Nick, too, although that accusation could be thrown at pretty much any sporty-looking coupe. But the true lowlight is the multimedia system. It’s a massive, high-definition widescreen unit controlled by a fiddly laptop-style touchpad and an array of tiny buttons. It might have sounded clever in a Lexus board meeting, but when you’re on the move it’s irritating and distracting in equal measure. For all that, though, the LC is still a great car. Far more famous cars have had much bigger issues than a stupid sat nav. Early versions of the Porsche 911 Turbo were notoriously difficult to drive fast, and the Lamborghini Countach was impossible to see out of. And so the LC has its foibles, yet all is forgiven if you just step back and look at it. It isn’t perfect, but somehow it just is.